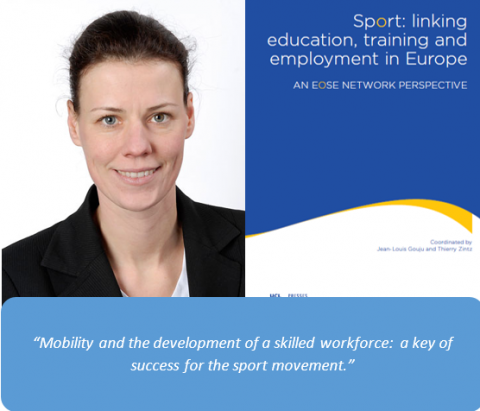 When I was asked to write this foreword, the demand of EOSE was to set the stage of the athletes’ perspectives regarding both individual developments in terms of dual career and learning mobility as well as sportive accomplishment as it refers to the impact of a well trained volunteers and staff on an athlete career. 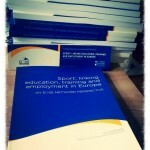 This foreword comes as a resonance to the book title: “Sport: Linking education, training and employment in Europe”. 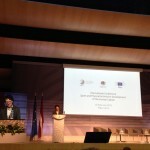 I met first EOSE at the European Union Sport Forum in Vilnius on October 1st, 2013, during the Consultation Workshop on the “Feasibility Study on possible future mobility measures for sport in the EU”. I could learn about the way EOSE works towards the development of the sport and active leisure sector building bridges between the worlds of education and employment and ensuring the development of a competent workforce with the right skills. EOSE expresses its vision as “a sport and active leisure sector that is playing its full part in the economic, health and social development of Europe and its member states”. As Chair of the IOC Athletes Commission, I endorse the mission of EOSE. Indeed “facilitating and supporting the development of the sport and active leisure sector workforce, in bringing education and employment, to ensure people working and volunteering in the sector have the right skills to perform and enable the Sector to fulfil its potential as a social, health and economic driver” is a mission that all responsible in sport should support. One of the duties of the IOC Athletes Commission is to support and to develop the IOC Athlete Career Programme. It was launched in 2005 in cooperation with Adecco(1) in order to “ensure (athletes) are doing everything possible to perform at (their) best when it counts”. The programme “provides guidance and the necessary tools to help (athletes) successfully manage training, competition as well as the challenges and opportunities of day-to-day life as an elite athlete”. It helps them to “successfully manage the difficult transition from sport to a new career through professional development and job placement”. Implement – develop skills to fit with your plan and begin to ‘live’ your plan” . “facilitate and support the development of the sport and active leisure sector workforce, in bringing education and employment (to Olympic athletes), to ensure people working and volunteering in the sector have the right skills to perform and enable the sector to fulfil its potential as a social, health and economic driver”. When taking part in the Consultation Workshop on the “Feasibility Study on possible future mobility measures for sport in the EU” organised by EOSE during the European Union Sport Forum in Vilnius on October 1st, 2013, I was impressed by the conclusions of the consultation process of athletes. “Being able to pursue sport and academic studies in readiness for a future career or to maintain a parallel career alongside participation in elite sport as an amateur, is increasingly being recognised not just as a desirable objective for all non-professional elite athletes but as a right. 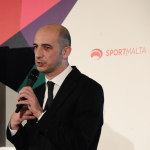 Sport Federations, educational institutes and training centres are being encouraged to include dual careers as a concept in their planning and provision. 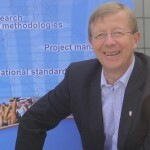 Institutes that provide flexible academic timetabling that can respond to the training needs of athletes and have high level sport facilities and support services for their national students, could be encouraged to work together to create a Network of dual career centres that could then work together to provide and support learning mobility opportunities. Not all athletes wish to pursue their academic or vocational study in a sport related subject and therefore the whole Institution needs to be part of this Dual Career approach if all the needs of athletes can be satisfied. In many cases, the demand for mobility from athletes is not to support their academic study but to improve their sporting career. Some Institutes might offer better or more appropriate facilities, training or coaching opportunities than their home country. But, at a University level, athletes need to have the right academic capabilities as well as their sporting ability and unless they can participate in an appropriate programme of study then sporting mobility will not be possible. This challenge exists at vocational level as well. Sport performance is not recognised as a vocational learning outcome in the same way as other occupations – e.g. electrician, plumber. The absence of structured qualifications and learning outcomes for sport performance is a barrier to engagement as learning”. Personally I believe to have successfully managed a dual career, but it would not have been possible without the support of both the sports movement and the educational institute, in my case the Radboud University in Nijmegen (NL). Having a Dutch/German dual citizenship made mobility relatively easy for me. I changed from a German University to a Dutch University and was both able and allowed to train in both countries. 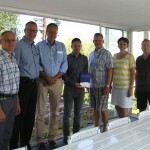 I hope (Olympic) athletes within Europe will be able to benefit from similar experiences. Not only did it give me the possibility to become a World and European Champion and win an Olympic Silver Medal, it also gave me a great start in the labour market once my fencing career came to an end. Educational institutes should support sporting careers and sport should support education. Both together are key for athletes in successfully managing dual careers.